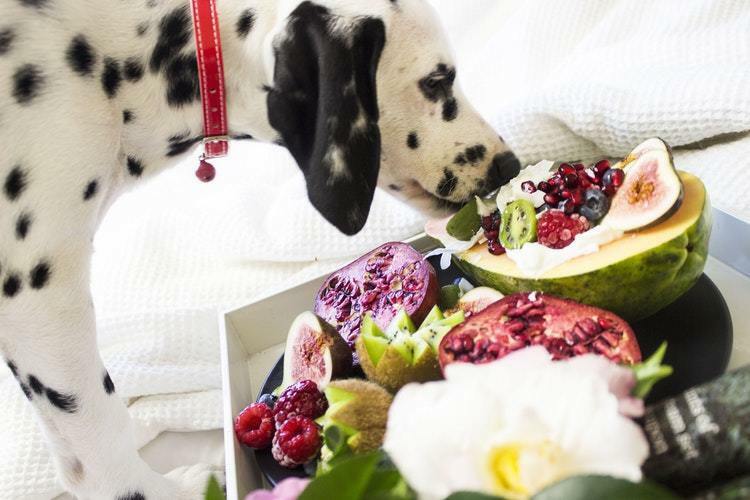 Take The Stress Out Of 9BEST FRUITS CAN DOGS EAT? Looking for a new and fun way of making your dog happy through improving on his diet? Well, adding some fruits is the best to do so. While some fruits are better to the dog than others, fruits play a crucial role, not only on dogs but also on humans. What fruits can dogs eat? If this is the question running through your mind at the moment, you are in the right place. The blog seeks to give several fruits options to your best friend. Fruits are not only delicious; they are very healthy for both dogs and humans. Your dog will not only love the taste and feeling of eating human food but will also benefit from the nutrients that fruits offer such as antioxidants, digestive support, better eyesight, immunity boost, healthy hair, and skin, etc. with that in mind, read on to learn more on the best fruits that your dog will love. While some people are not sure of pineapple when it comes to dogs, they keep asking themselves, can dogs eat pineapple, can dogs have pineapple juice? Well, we have an answer to your queries. Pineapple is a very safe treat for dogs. The fruit comes with a considerable amount of vitamin C and is also rich in fiber. However, since the pineapple is so rich in fiber, you need to practice moderation when serving your dog. Dogs can enjoy pineapple juice; all you need is to blend a piece of pineapple and mix with her treats. She will surely enjoy this. 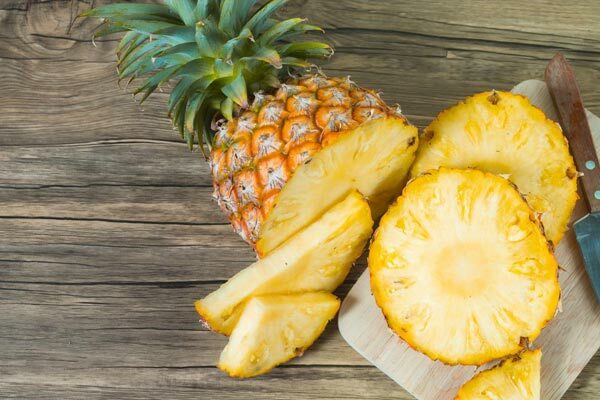 ​Too much pineapple can cause the stomach problems, and you don’t want that for your favorite pet. Surprisingly, dogs can eat watermelon. However, you need to remove the seeds to avoid intestinal discomfort or blockage. Watermelon has 92% water, and so the sweet watery fruit is excellent for keeping your dog hydrated and prevents heat stroke. The fruit is also full of vitamins B6, C, and A. these vitamins can keep your dog’s skin shinier and his teeth in good shape. ​Even if your dog refuses to take water, watermelon alone can solve that problem. 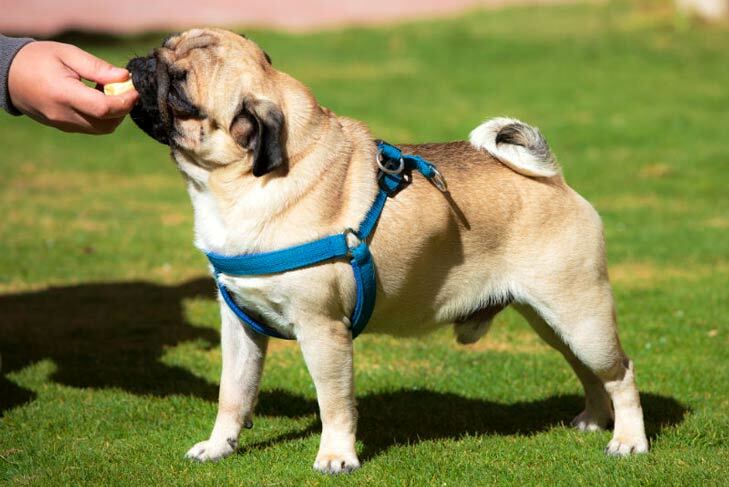 Rich in fiber and naturally sweet, apples are the most common ingredient in many dog treats. However, you need to core the apple and get rid of all the seeds before you feed your dog since the seeds contain cyanide in low amounts. The fruit is a beautiful tooth cleaner and refreshes the breath. ​To feed your dog, slice the fruit into French fry-like portions, add peanut butter and serve your dog. Raspberries are enormous and delicious for dogs but can somehow tart for other pets like cats. The fruit is low in sugar, which is an advantage because dogs rarely brush their teeth. The fruit also offers fiber, and they come with anti-inflammatory properties that are perfect for dogs with bowel problems or arthritis. For the best results, limit your dog’s part to one cup or less since raspberries Xylitol, which is dangerous if a dog consumes it in large doses. Often known as a super food, these fruits are as good for dogs as they are on humans. The fruit’s bright color indicates their high antioxidants levels that keep a dog’s immune system high. By serving 3.6 grams of fiber in every serving, these fruits are perfect for older dogs. Their low sugar content makes them a healthy treat for pets. Blueberries contain potassium, a content that keeps the dog hydrated and healthy. If your dog has low potassium in his blood, he is likely to suffer weight loss or even death. That is why a balanced diet is crucial, and the best way to get potassium is from blueberries. While oranges are beneficial to your dog, don’t go overboard when serving. Practice moderation since oranges contain citric acid that causes gastrointestinal upset in dogs, just like in humans. In some pets, it can cause diarrhea. Make sure to remove the peel before serving your dog since it very hard to digest, and it is not tasty either. Make the fruit an occasional treat or use it sparingly in frozen treats to avoid dental issues and obesity since it is a sugary fruit. Another great fruit that your dog will enjoy is a banana, especially if mixed with peanut butter. However, you should not overdo it; inch long is enough. Too much of the banana can cause raised potassium, putting your dog at risk of constipation. Bananas can act as an excellent treat for your dog if you mix it with peanut butter. Your dog will surely love this. Cranberries are a source of vitamin C, manganese, and fiber for your dog. The fruits also help in fighting against urinary tract infections. They also balance the acid-base in your dog’s body. Add two tablespoons of the stewed cranberries and add to the dog’s food. That is enough portions for the pet. Serve cranberries to your dog and let him leap the benefit that comes with it. Even though some fruits are good for dogs if you serve them in small portions, i.e., if your dog is not allergic, here are the fruits that you should never offer to dogs. If your dog eats these fruits accidentally, call the veterinarian immediately. Grapes or raisins-These fruits cause poisoning when ingested by dogs in large part. Figs- these fruits cause allergic reactions in some pets and can even cause skin inflammation if the dog comes into contact with the tree. Coconuts- while coconut is excellent and safe for your dog, it has triglycerides that cause discomfort and bloating. If you want your dog to reap the benefits that come with coconut safely, it is good to consider using coconut oil. It is the safest. There you have it. Dogs love fruits since they are rare in their diets and that is why they will enjoy and appreciate the delicacy. With the above fruits ideal for dogs, your favorite pet will surely live a longer, happier, and healthier life.